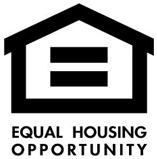 The Madison County Housing Authority (MCHA) is currently served by five commissioners that oversee the Housing Authority's staff of 30 to provide a variety of safe, affordable housing options to very low and low-income residents across Madison County, as well as elderly and disabled members of the community. 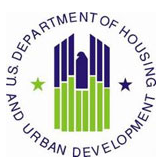 ln addition to developing and managing Public Housing Projects , the Housing Authority also oversees the Section 8 Housing Choice Vouchers Program and the Family Self-Sufficiency Program . The organization utilizes a variety of different state and federal funding sources to support its work, while also drawing on other sources for its mixed-finance developments . Some of the MCHA’s developments are today operated in cooperation with non-profit partners who share the organization's commitment to helping the constituents served find jobs and achieve economic and housing independence. The Madison County Housing Authority (MCHA) has done an exemplary job of keeping its own financial house in order, with its outside, independent auditing firm continuing to report clean audits over the past several years. Today's MCHA also consistently ranks among the best in the country based on the various industry measurements. For the fiscal year ended Dec. 31, 2011, the Authority's final Section 8 Management Assessment Program (SEMAP) score was an impressive 100% , while its Public Housing Assessment System (PHAS) score has been dramatically improved from the upper 60s earned back in 2003 to upper 80s and 90s in more recent years, placing MCHA in the top performercategory several years during the past decade. The PHAS score is based on a variety of factors, including physical, financial, management and resident satisfaction. The recent scores are a reflection of the transformation that has occurred in the public housing landscape of Madison County over the past decade.